2019 is already proving to be a spectacular year for books, and the covers for those books are just as amazing as the contents inside. It was hard to choose only nineteen, and I’m sure when I look back at this I’ll be dying to add more (I already am!). As an artist with a bit of marketing as a background, I am obsessed with great covers. Please note, purchase links marked with * are affiliate links. This means I will receive a small commission of your purchase if you buy through the link, at no additional charge to you. The books listed are in no particular order, because I think they are all equally gorgeous. One thing I adore about the trend for books this year, is how many are illustrated! I absolutely adore illustrated covers! I absolutely adore this cover! The composition is stunning! There are so many elements, but each one fits perfectly. The hints of gold agains the blue, and the swirling in the title are spectacular. I love how the thread intertwines with the title, bringing the illustration with the font together. I am obsessed with this cover! I’m sure you’ll be seeing the word “obsessed” a lot in this blog post. What really pulls this entire cover together are the eyes. The crow is expertly placed where the left eye of the person should be, and they both mimic the same hues. The gold font contrasts the overall bluish tone of the feathers and wings and compliments the skin. I love it! This cover is so beautiful! Typography covers are super eye catching and leave a lot to the imagination. The twisting branches around the words as well as the shadows create an eerie feeling. I love how the word “dark” looks like glass, giving this fantastical vibes. I am in love with this book cover! When I say it’s gorgeous, I mean it! The blues and golds compliment each other so well, and I love how we’re looking in on the character looking back at us. The looming crescent moon in the background is gorgeous. Actually, the entire background scene is gorgeous! Love, love, love. I can hardly put into words how much I absolutely adore this cover! The illustrator for this one truly did a fantastic job (their name is Charlie Bowater, btw). The same artist did Margaret Rogerson’s first book, An Enchantment of Ravens, so this really ties the two together, even though they’re standalones! I’m just going to take a moment to go scream out a window at how absolutely spectacular this cover looks. I mean, LOOK AT IT! The vibrancy is so beautiful, and the color scheme just screams at me. The silver font and grey background compliments the reds, oranges, and yellows so well. The moment I saw this cover, I adored it. It’s got such beautiful, fantasy vibes. Purple is one of my favorite colors, and I love the hints of gold sprinkled are the image and in the text. The cover left me so curious about the contents of the book, which is exactly what a beautiful cover should do! This cover is so, so pretty and has everything I love in a cover. It’s so simple but so pleasing, and I love how it brings in traditional art elements as well. As soon as I saw this I was screaming to one of my art friends about how gorgeous it was! I can hardly put into words how I absolutely adore this stunning cover. Typography covers are so pretty, and this one is no different. I love the leaves peaking through the golden metal work, topped with a flower in the very middle. The font is absolutely perfect, too! The green and golds compliment each other so well and really make this cover pop! Give! Me! More! Purple! This cover is so pretty and so spooky! I love all the tiny details added in, such as the skull and dagger, and all the other little bits. It leaves me curious — what do these small details have to do with the story? With that, I was pulled in! I can’t go without mentioning — you should check out the UK edition of this book, too, because that cover is equally as stunning! As soon as I saw this cover, I knew I needed to see what was inside. I like how there is parchment behind the drawing, which looks like beautiful, blue ink. The hint of red, which is reminiscent of a blood stain, also pulled me in! This cover is stunning! I love how large the title is, and the illustration behind it. The stag running in a snow touched forest creates such an ethereal feeling, and the small sparks floating from the bottom gives it an even more fantastical vibe. When I say I love typography covers, this one is a perfect example. I love the bubbling water in the background, and how the words look like old, rusted metal that has been touched by salty water for too long! The entire cover gives an ocean vibe, and I’m really interested to find out more about it! This cover is completely beautiful! The person holding the flame is spectacular, and the light shining behind them give the entire cover an ethereal aesthetic. The font for the title is perfect and wonderfully placed! The blue flame contrasts with their clothing, and the center of the flame matches the text and background! This cover is beautifully composed, and I am obsessed! Blues and gold! Illustration! Beautiful title! Stellar textures! This cover is fantastic and leaves so much to the imagination. The colors are nicely blended and compliment each other, and the illustration is fantastic! I love how the character is staring right at me! This cover is so spooky! The title is perfect and matches the entire cover’s aesthetic so well. I love the creeping branches from the shadows, edging toward the person standing in the middle, and the dapple of light in the background. This cover has so much depth, and I am living for it! I love all the fantasy forest vibes I’m seeing in 2019 covers, and this one truly stands out! I love the overall blue color scheme, which creates an eerie yet calming aesthetic. This forest is inviting me in, but I’m a little scared of what lurks between it’s trees! I really like how the tree’s creeping branches are moving through the title, which makes the title sit very nicely on the cover! This wouldn’t be a favorite covers list if I didn’t include at least one that had crowns! This one is so simple yet so pretty! I love how the crowns are all sitting together, and it leaves me wondering, which crown will win? The blue beam of light shining down on them casts an emotion of wonder across the cover. I love how fiery this cover is! The character surrounded in flame, and the mist of embers swirling around makes this cover really stand out. The soft purples in the background compliment the bright oranges and yellows. The font is perfect as well, making the title absolutely gorgeous! What are your favorite covers of 2019? Which ones are you excited to be revealed? Of course, this barely scratches the surface of spectacular covers for books coming out in 2019. There are some covers that haven’t even been revealed yet! I’m particular excited to see what Children of Virtue and Vengeance by Tomi Adeyemi and The Girl the Sea Gave Back by Adrienne Young will look like! One trend I’m loving for covers this year are illustrations with blues and golds. Typography is also starting to come into play, which is equally as spectacular! Overall, I am super excited for the books of 2019, and I can’t wait to see all of the other beautiful covers to be released! 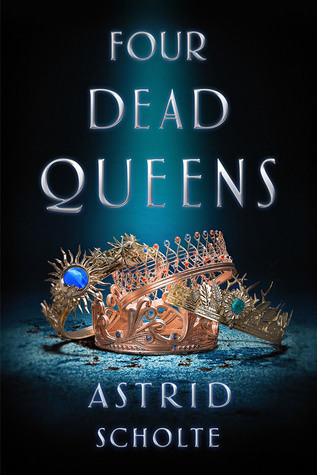 Check out my 2019 covers GoodReads shelf! And there are so many other book covers I didn’t even include! Some covers haven’t even been revealed yet for fall / winter. Ah! Book covers are always so cool to look at! There’s so many more I hadn’t even included in this! Next Write For Yourself First!